Sisters in Crime, Australia’s leading organisation for women crime writers, has announced their picks for the year’s best crime books by Australian women. Now in it’s 15th year, the Davitt Awards, named after Ellen Davitt (1812-1879), the author of Australia’s first mystery novel, Force and Fraud, published in 1865, were presented by leading UK crime author Sophie Hannah at a gala dinner in Melbourne on Saturday 29th August 2015. This year there were a record 96 books nominated for the six Davitt Awards on offer: Best Adult Novel; Best Young Adult Novel; Best Children’s Novel; Best Non-Fiction Book; Best Debut; and Reader’s Choice (as voted by members of Sisters in Crime). The Best Adult Novel of the year award went to New York Times best-selling author Liane Moriarty from Sydney for Big Little Lies. 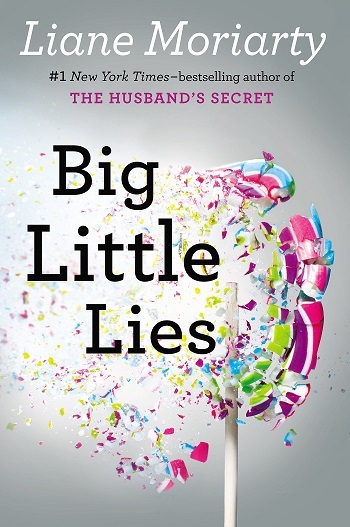 Published in 2014 by Pan Macmillan Australia, Big Little Lies opens with a death at the local primary school’s trivia night and has sold more than a million copies in the US alone. Moriaty was the first Australian author to have a novel debut at number one on the New York Times bestseller list. Film and television rights have been acquired by Nicole Kidman and Reese Witherspoon who will both take roles in the production. 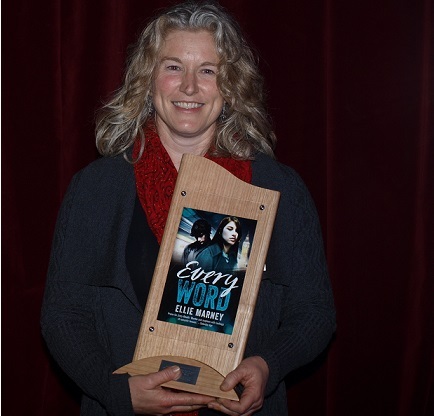 Ellie Marney, who lives near Castlemaine in regional Victoria, won the Davitt Award for Best Young Adult Novel for Every Word, the second in her three novels in the Every series. Accepting her award, Marney paid tribute to the community of Young Adult (YA) authors. “We encourage each other, give each other a boost when things are tough, applaud each others’ victories, and generally try to make the ‘balancing act life’ of writing an easier path to travel. I would also like to thank the Centre for Youth Literature, and the #LoveOzYA campaign, for their unwavering support,” she said. The Davitt Award for Best Children’s Crime Novel went to Melbourne writer and illustrator, Judith Rossell, for Withering-by-Sea. Published by HHarper Collins, Rossell’s illustrated novel, has also won the 2015 Indie Book Award for Children and YA, the 2015 ABIA award for older children, and was shortlisted for the CBCA and Aurealis Awards. She teaches Writing for Children at RMIT and the Australian Writers’ Centre. She has written 11 books and illustrated about 80. Recently, her picture book, Oliver, was published by Harper Collins in New York. Walkely-award winning journalist, Caroline Overington, won the Davitt Award for Non-Fiction for Last Woman Hanged. Also published by Harper Collins, the book tell the story of Louisa Collins who was executed in New South Wales in 1889. Overington, Associate Editor of the Australian Women’s Weekly, is currently based in Santa Monica, California, and has written nine books as well as profiling many of the world’s most impressive women, including Hillary Clinton, Ellen de Generes, Helen Mirren, Julia Gillard and Gina Rinehart. Speaking by video, Overington told the audience that for years she had been passionately telling Louisa’s story to anyone who will listen: she was hanged for the crime of murder despite three juries having real doubt about her guilt. “Her lawyer was struck from the roll for fraud and incompetence. She had seven children, including a daughter who was forced at age 10 to testify against her. She became a symbol of the struggle for women’s rights, including the right to sit on juries. She was buried in an unmarked grave and I have long been able to hear her calling out for justice,” she said. Overington’s mother, Katrin Schwab, who edited the book, accepted the award on behalf of her daughter at Melbourne’s Thornbury Theatre on Saturday night. Brisbane-based author Christine Bongers took out the Davitt Award for Best Debut Book for her novel Intruder. Published by Woolshed Press an imprint of Random House), Bongers said that Intruder might never have been written if a prowler hadn’t broken into the bedroom of her eleven-year-old daughter six years ago. “We were lucky, the prowler ran off when she challenged him. And our daughter is a resilient child – she recovered much faster than I did. But eventually the terrifying ‘what ifs’ that tortured the mother faded into musings that interested the writer … We were all home the night that prowler broke into our house. But what if it happened to a girl home alone? What if her mother was dead and her Dad worked nights? …So the story of Intruder began,” she said. 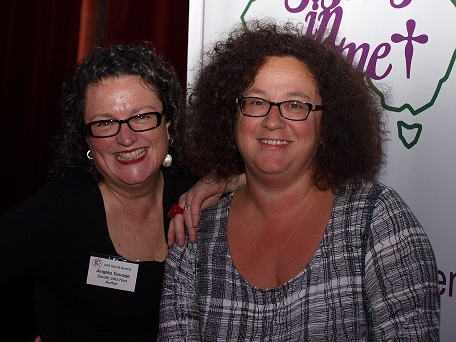 Sandi Wallace, who lives in the Dandenong Ranges outside of Melbourne, won the Davitt Readers’ Choice Award for Tell Me Why. Published by Clan Destine Press, Tell Me Why is Wallace’s debut novel and the first instalment in her Rural Crime Files series. The sequel Black Saturday will be released in November 2015. The judging panel for 2015 comprised Maggie Baron, Deborah Crabtree, Jacqui Horwood, Sylvia Loader, Michaela Lobb and Dr Shelley Robertson.